VIDEO IS SILENT. 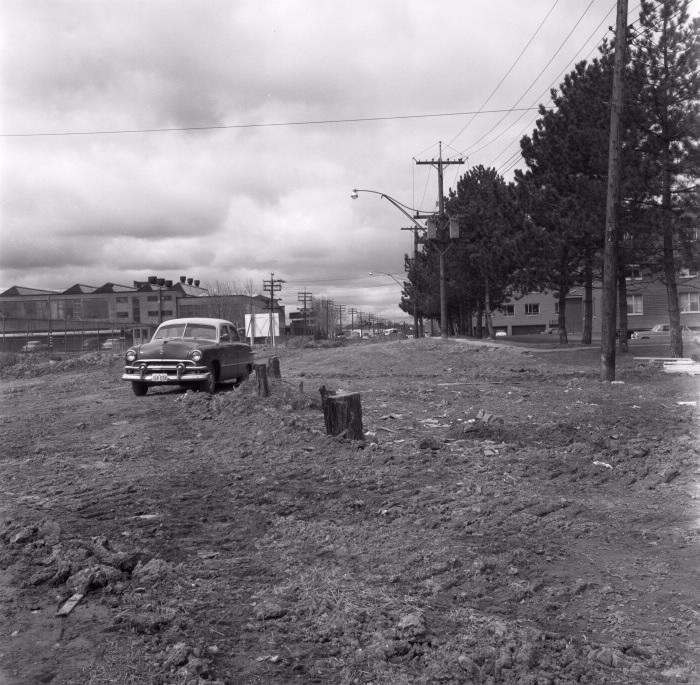 Eglinton Connects: Demonstration of how the Golden Mile could transform over time. This video shows a section of the Eglinton streetscape near the Golden Mile by Warden Avenue. The Crosstown Light Rail Transit (LRT) infrastructure, which will be running at grade along the street at this section, offers the potential for positive incremental change to the street itself, as well as development potential of adjacent lands. The video depicts a demonstration of how this could happen. First, the LRT is built, running down the centre of the street, and replacing the bus lanes that currently exist. The LRT could run along a planted green surface, lined with trees. New bike lanes approved in 2010 could be improved by being physically separated from moving traffic. Over time, the public realm could be transformed through wider sidewalks and space for large trees. With an improved public realm and THE new LRT, development may be attracted to the area and start building along the line. New development would bring new people and jobs to the area, to help maximize the new LRT infrastructure.